The mining industry is one of the toughest industries in the world. It requires mining rope that is tough enough to handle the most adverse and challenging conditions. These mining ropes are specifically constructed to withstand the loading stresses, bending and vibrational stresses and external wear they are exposed to. All About Lifting & Safety supplies and installs superior underground mining rope and open–pit mining ropes that have been designed to endure mining conditions in line with the highest operating standards. We have a wide range of compacted and non-compacted mining ropes to choose from. The ability of ropes to be used in extreme depths. At All About Lifting & Safety we know that high-quality mining rope is crucial to the safety of your workers, equipment, and the mining shaft too. That is why we only install and supply premium mining rope. It is important for machine operators and supervisors to examine the mining ropes to ensure they are in good working condition. Worn out mining rope should not be used as they can cause accidents of dangerous proportions. 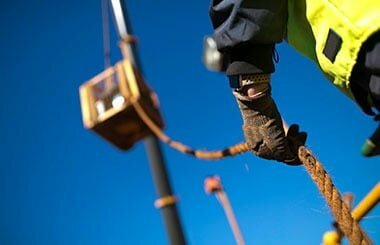 Always use certified and professional technicians when installing underground mining rope to avert any problems that may arise from poor installation. Have regular training for your staff by industry professionals to ensure they are taught proper handling, storage and use of underground mining rope. We have over 80 years combined experience making us industry experts in lifting and safety. You can rely on us to provide you expert advice on any type of underground mining rope, and other types of mining rope, as well as their application and other pertinent information. 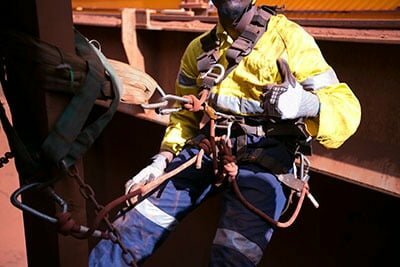 Call us today for all your lifting and safety equipment needs including mining rope.